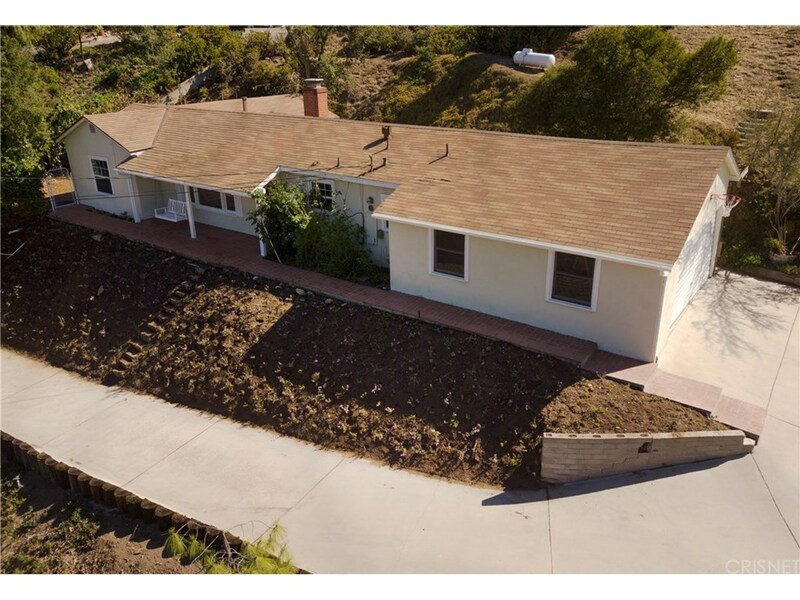 This turn key, ranch style home, with a 2 car attached garage, is situated above the world on a 20,844 sf lot. It boasts magnificent views to be enjoyed on the porch swing or on the rear covered patio. Recently renovated with new interior/exterior paint, new flooring, dual pane windows (partial). The living room greets you with a traditional brick fireplace and enjoys natural light from north and south picture windows. The Chef?s U-shaped kitchen has new stainless steel appliances, including stove, microwave and dishwasher, and a built in butcher block. Enjoy your coffee in the dining area as you look out the picture window. Both baths are updated, the first a ~ bath with glass enclosed shower and dual sink vanity, and an additional full bath with an over-sized soaking tub, new vanity and fixtures. This home is complete with 2 large bedrooms, with roomy closets and ceilings fans. It is easy to have the good life, while just being a stone?s throw from main metro areas. Tranquility indeed.